This is how it goes: a neighbourhood, generally close to the city centre, lies off-the-radar for decades. It may have once had its glory days, but the sparkle has long since lost its sheen until a new generation see the potential in the faded grandeur, charm in the strong community spirit. Such is the case of Poble Sec wedged between bustling Paral.lel Avenue and the pine-lined parklands of Montjuīc. 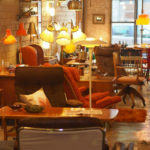 In the past decade, and particularly in the past few years, its cool status has been on the rise – with young couples and foreigners buying into its pretty 19th-century apartment blocks and a host of casual places to eat everything from new wave tapas to tacos. Like many gentrification stories, it started with a coffee shop – or a few of them really along the Carrer Blai – a traffic-free promenade that cuts through Poble Sec. Old ladies underwear shops and cheap mobile phone outlets became lovingly conceived venues such as the micro tapas bar La Tieta and the Spice Café, which undoubtedly serves the best homemade carrot cake in town, as well as hosting language exchanges and book readings. Fine dining is to be had in designer hot spots such as Mano Rota, the current darling of the gourmand glitterati and the hyper-fashionable Malamén-Bendita Bodega. 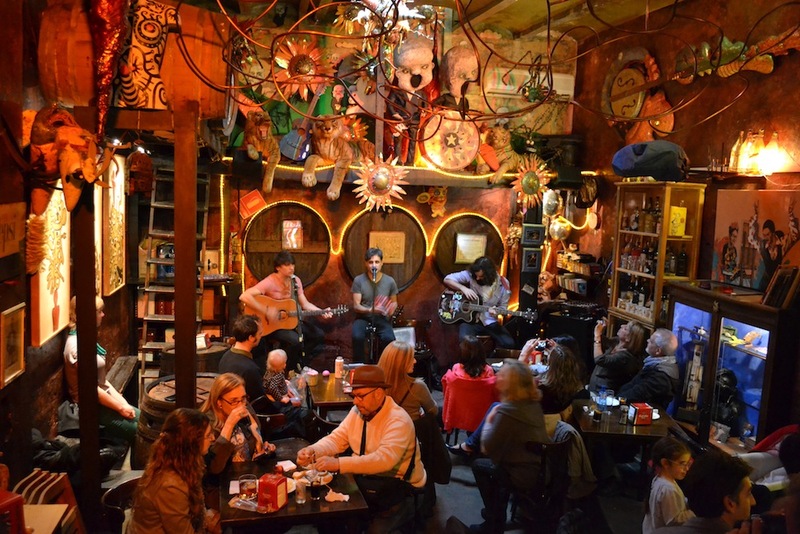 Or head to Gran Bodega Saltó or Tinta Roja for live music, basic vino and a taste or ‘underground’ Poble Sec. 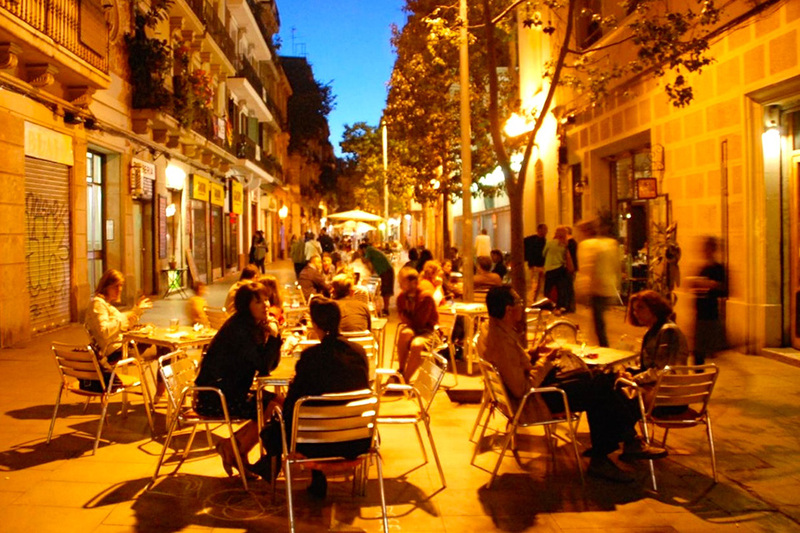 Wining and dining aside, Poble Sec’s other attractions are its peaceful, shady squares such as the Plaça Sortidor, and its close proximity to Montjuīc. Take any of the leafy, upward sloping streets, which eventually morph into stone stairs, or zigzagging country tracks, and feel the heat and noise of Barcelona fall away behind you. 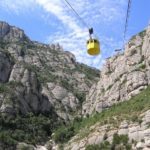 Most roads end up at the funicular/cable car station, from which you can head either back down again or take a cable car to the Montjuīc Castle for panoramic views. Or pack a picnic and spread out amongst the trees in the divine Jardins de Mossén Jacint Verdaguer, which are adjacent to the cable car station. Ask any old-timer however what makes Poble Sec truly unique and they will answer Paral.lel – a busy artery of six lanes for cars, two for bikes and a strip of theatres hosting classic comedies and musicals – all advertised via gaudy billboards. Welcome to the ‘Broadway of Barcelona’ – the hub of sailors, showgirls and general shenanigans during the early part of the 20th century. Barcelona’s city council has made great effort to revive its heyday – with mixed results. 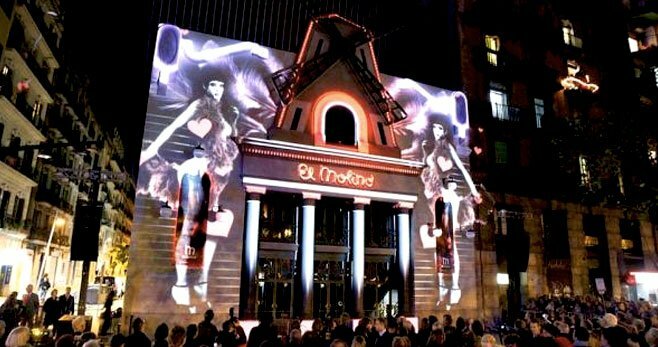 Shows put on theatres here tend to cater for Spanish families and oldies, with a few notable exceptions; the revamped El Molino music hall which has a solid programme of tourist-friendly cabaret and BARTS, a modern theatre with a select programme of independent music.